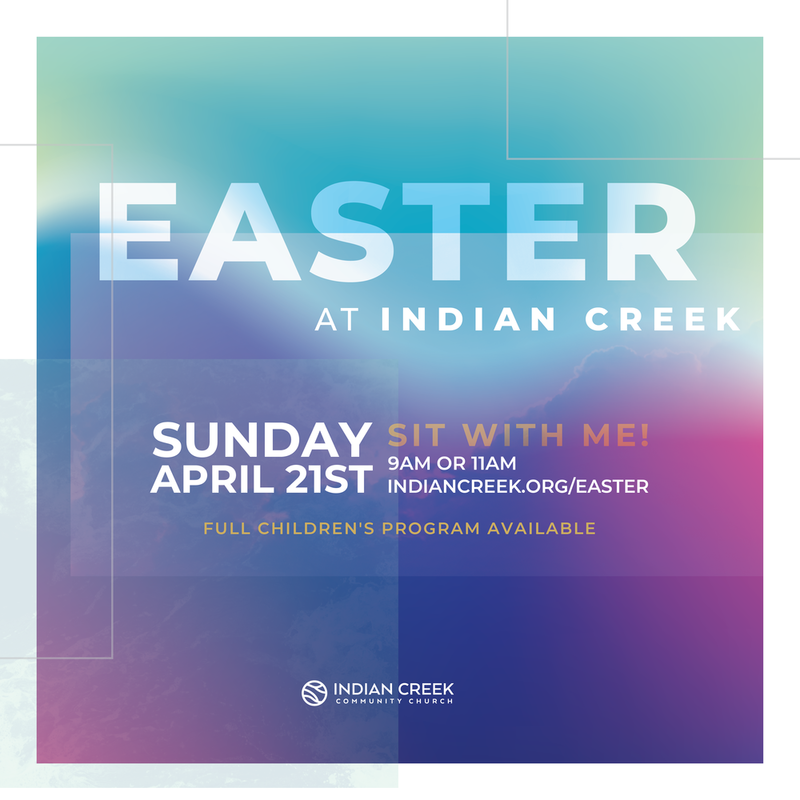 Celebrate Easter at Indian Creek Community Church. Join us Sunday, April 21st at 9am or 11am for powerful worship, an inspiring message from Pastor Jake Zaske and an Easter program we know your kids will love. ARE YOU BRINGING KIDS FOR THE FIRST TIME ON EASTER? You can make your first visit a little easier with registering your kids online. On Sunday, when you visit the CreekKids Guest Check-in, our kids team will confirm your registration, get your child(ren) checked in and guide you to the appropriate room. Children 5th grade and under are invited to experience Indian Creek's Egg Factory on Easter Sunday, April 21st. We'll be having special Easter Sunday services at 9am and 11am. After each service, children can head over to the Easter Egg Factory where they'll be able to see first-hand how Easter eggs are made, enjoy fun interactive games and leave with some goodie-filled Easter eggs of their very own! Use these images to invite your friends to our Easter services through your social media channels.